This week we go back to healthy eating habits. Once again, we want you to eat five fruits and vegetables. Fruits and vegetables are not only a great source of vitamins and minerals, but they are a fantastic way to fill up with very little calories. 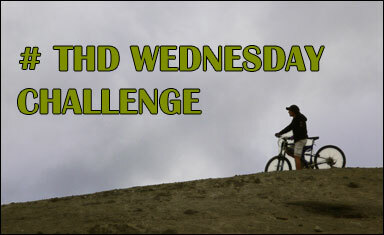 Keep us updated on your progress via our Twitter hashtag #THDWednesdayChallenge or leaving a comment here. Zee (@zeethd) and Suze (@suzethd) will be around to cheer you on. And you can join us on Facebook too!